Now available on Amazon, in print and Kindle versions and in Bookstores, including Diane Pearl Colecciones, La Bella Vida, Jose Melendrez and Mi Mexico in Ajijic, MX. When Judy let her husband Bob persuade her to buy a house in Mexico, little did she know that five months later, she would be moving into that house alone. Her diary takes us along through their initial adventures in Mexico, their return to California to sell off the contents of their home, her nursing Bob through his final illness and death and her move to Mexico. For eight years, she chronicles the triple challenge of dealing with the loss of her husband, learning to adjust to the culture of a foreign country where she knew no one and finding ways to find the positive in the most negative situations. Making use of his extensive research in the field of grief as well as experience gained through years of counseling others going through the grief process, Tony’s insightful comments on Judy’s thoughts and actions will serve as a guide for any reader suffering from the death of a family member or other loved one. Having the courage to speak with unembellished honesty, Judy Dykstra-Brown begins by describing the move she and her husband Bob are planning to make to a more relaxed life in Mexico. As the van is being packed and plans finalized, Judy learns her husband is dying. In beautiful prose and poetry, she chronicles her grueling role of caretaker to Bob, their last days together and the death and rituals that follow. Knowing she will be leaving behind all of her support systems, Judy relocates to Mexico alone, sharing her intensely personal journey of grief, growth and finally the excitement of moving towards a different and full life. Uniquely, Anthony Moriarty follows each chapter with a psychological and/or mystical interpretation of the behaviors that accompany Bob’s processes of dying and Judy’s struggles with the loss of her husband. This is a must read for anyone who has experienced loss.—Romaine Presnell, Clinical Social Worker, mental health therapist at John Hopkins and in private practice, Supervisor of Counseling Services as Associated Catholic Charities and group facilitator for The Wellness Community, providing free services for cancer patients and their families. After earning her Masters in Creative Writing and Curriculum and Instruction at the University of Wyoming, Judy Dykstra-Brown taught English and writing for ten years in Australia, Ethiopia and Wyoming before moving to California to study film production and to work for a television production company. She studied writing at UCLA and in the Jack Grapes workshop, where she met her husband Bob, a poet and sculptor. After marrying, they moved to Northern California and exhibited their individual and collaborative work at galleries and art and crafts shows nationwide for thirteen years. She was curator of the Santa Cruz Mountains Art Center for three and a half years. After Bob’s death in 2001, she moved to Mexico, where she has continued to publish her work in English language print and online magazines, to read and speak for various lecture series and performance groups and to exhibit her retablos and mixed media sculptures at local galleries. This is her third book. Tony Moriarty holds a Ph.D. in Counseling Psychology from the University of Illinois at Urbana-Champaign. He has been a Licensed Clinical Psychologist since 1978, working both in private practice and community mental health, where his clinical specialties include grief management. As a police psychologist, he was involved in the post-incident counseling of officers whose use of force in the line of duty had resulted in a death or serious injury. He recently retired as the Principal of Homewood-Flossmoor High School in Flossmoor, Illinois, where he developed a number of programs involving non-punitive methods of managing student behavior as well as two high school police resource officer programs. He has published more than thirty articles in the professional literature and is the author of three books prior to this one. I will definitely be purchasing this book. I cannot wait to read this. Thank you for sharing this. Thanks, Norma. I’ll let you know when it is available. Judy – I look forward to reading your book. Thanks, Margaret. I think you might have a few things to say about this topic as well. I am not grieving right now, but rejoicing the loss of five pounds as a result of Montezuma’s revenge. Some losses are easier to accept than others. We all need to remember there is no one best path to recovery from the loss of a loved one. My path is not yours; yours is not mine. We know we’re doing OK so long as we have a path, no matter where it leads us. The point is the path. I sure wish I could have found a book like this when I was grieving the loss of my fiance. There wasn’t a hospice group in the area, we had moved there not long before he became ill, so we hadn’t made friends yet, and I was so alone, with no one to talk to about what I was feeling. A few months after he did I thought I’d gone into early onset dementia — I couldn’t remember anything. Then I found a grief group and learned that everyone there had the same problem. What a great service you are providing with this double-faced look at grief. Thanks, Judy. People have been going through the experience of grief for as long as there have been people–and I imagine it is just within our lifetimes that grief support groups and organizations have come to be. Good friends do a lot and perhaps are enough in some cases, but at other times–I think the most helpful and comforting support comes from someone who has been through what you are going through. We are lucky we’ve survived to live in an age when it is okay to talk about such things. If you have lost someone this book will open up your mind and your heart to deal with things you did not at the time. I can stuff things back about as good as any one but while reading Judy and Tony’s book it brought out feelings I had not dealt with. There were several crying jags and could not finish reading but to be picked up again later. I , too lost my husband then within a month moved to Mexico, it was the best thing I ever did especially since one of the first people I met was Judy. I would say for about the first year I was In Mexico I could not talk about my husband with out crying and I am sure making every one around me uncomfortable. There were so many similarities in Judy’s story and mine it was like going to therapy, also made me realize feelings that I had not allowed myself to feel. Judy has a way with words that will make you laugh and cry. I loved her book and will purchase one so I can read it again. 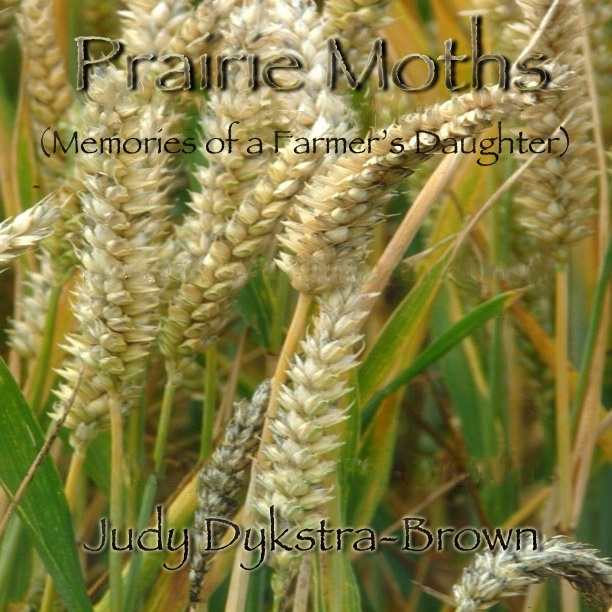 Thank You Judy for having the fortitude to write this book. Thank you for visiting my blog and taking the time to study it. This is my 9th day of blogging and I have much to learn about navigating the blogs. So far I’m having trouble trying to find any way to comment on other people’s blogs…Something simple I’m missing, I’m sure. Glad I found this place to thank you!!! Hope to see your name again…. It is at the formatter’s. I’ll let you know. I’m in the process of choosing an illustrator for my “Sock Talk” book. Do you remember that I wrote that for you loooooong ago when I sent you that box of crazy socks? For years, people have been saying I should publish it as a children/adult picture book but I could never find an illustrator. Finally decided to bite the bullet. I’m negotiating with four different professional illustrators–all of whom have many books under their belt. It will be expensive, but I just want to get that goal accomplished. Three other rhymed children’s books–all completed but never published– will follow if I find the process is successful. This feels like the year to accomplish big goals. Okey dokey, I’ll check back! I’m delighted to hear that Sock talk is going to press. That was one of the best gifts I’ve ever received. You gave me two pairs of shoes as well! Yes, as I’ve told her, she captures every nuance. Makes a writer feel so appreciated to have someone look so closely at their work, internalize and experience it. Are you ready to proof my next book? It is only 14 pages long, luckily–finally, the much-shelved “Sock Talk” will come to bookstores and Kindles near you!!!! YIPPEE Judy…Good for you, what wonderful news. I know with your bright and thoughtful style you are a natural for children’s books. Looks like a good book! Good luck to you! I would like to get your books too. I have battled with grief also in different ways; nearly losing teenage children to the consequences of addiction and emotional disturbances, still having to manage full time work as if nothing was wrong. You should only know that I lost track of you and had to write a few days ago on the common blog roll #blogging201 if any body could help me to find you. I got the answer very quickly from an English blogger and then found that I was already following you. I had looked through nearly a hundred bloggers that I follow. So I have not yet ordered the books. But so happy to know where you are. There have been so many deaths in my life and the lives of my friends lately. I hope the book is of some benefit.. Writing resolved so any issues for me and reminded me of so much I’d forgotten. Have you written at all about you husband’s death, Lily? Even if you choose not to share it with anyone else, it can be so cathartic.. and a way to think about your husband in a positive vein. Even if you are writing about the most heartbreaking of details, when you finish you have made something out of your pain..There is a satisfaction in finding even the smallest amount of positive in the most negative situations. Don’t mean to lecture.. just remembering some things learned at a great cost. I actually blogged about it right here the morning after it happened. It’s called “A bit about my better half.” Not my most coherent post, but it did help to spew it all out. I keep writing about it here, because it seems to help. I wrote you a comment on your better half blog.